Mexico has long been one of the strongest trading partners with the U.S. and a preferred “nearshore” location for U.S. manufacturing operations. Manufacturing is at the core of the Mexican economy and represents a wide range of industries. Manufacturing investments are stimulating the economy, creating jobs, and making Mexico a top FDI location in Latin America. 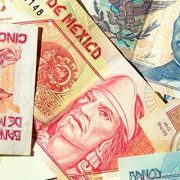 According to many experts, Mexico’s economic growth for 2015 is expected to be in the 2.5–2.9 percent range — very strong compared to the rest of Latin America, which is averaging about 0.5 percent. In June 2015, year-over-year business investment had increased by 8.6 percent. Mexico is expected to do even better in 2016 — a growth rate of about 3.2 to 3.5 percent. “Mexico is the seventh-largest vehicle manufacturer in the world and the sixth-biggest manufacturer of auto parts, with an estimated $81.5 billion in sales in 2014,” according to Doug Donahue, vice president of Business Development with Entrada Group, which helps manufacturers set up operations in Mexico. “Manufacturing also received the most FDI in 2014 — about $13 billion,” Donahue says. Foreign investment in factories in Mexico is on the rise, even for industries that have been China-bound in the past. At the top of that list are global automakers that are investing heavily in new assembly plants. Companies that have made recent announcements include Nissan, General Motors, Ford, and Fiat Chrysler. “In March VW indicated it would spend $1 billion expanding a Mexican plant to build a small SUV for the U.S. and some foreign markets,” says John Boyd, principal with The Boyd Company, a location consulting firm based in Princeton, New Jersey. “In Hermosillo, Ford Motor Corp. is doubling production and hiring 1,000 workers to build its new Fusion model. Combined, automakers and parts suppliers have earmarked more than $20 billion of new investments,” Boyd says. Mexico’s many free trade agreements are also factors helping it to attract new industrial investment. Mexico’s unemployment rate is about 4.3 percent — a reflection of reforms that were implemented by President Enrique Peña Nieto in 2012, including an improved minimum wage, women’s worker rights, and better labor union accountability. Some of his business-related reforms — for example, allowing foreign development of energy reserves and breaking up corporate monopolies — have also encouraged business investment. “Regarding job performance, once Mexican employees have been brought on and trained, we have seen them to be highly dedicated and productive employees and, in many cases, more productive than their U.S. or Canadian counterparts,” says Donohue. To maintain its economic momentum, Mexico plans to invest more than $100 billion through 2018 to improve its transportation infrastructure. “Mexico realizes that, in order to attract international OEMs, Tier 1s, and their suppliers, it must establish a solid transportation infrastructure throughout the country,” Donohue says. To keep up with the hiring needs of its manufacturers, the Mexican government is also investing heavily in further education and training of its workforce, creating more specialized programs with input from the commercial sector. Increasing funding, however, for such government education programs remains a challenge and may have to be gained through tax increases. A bright spot is the emergence of Mexico City as a global financial center. Mexico City currently houses the headquarters of the country’s largest banks, insurers, and many international financial service companies for Latin America. “Citigroup in Mexico City reportedly produces almost three times as much revenue than all 16 Citigroup branches in the rest of Latin America,” says Boyd. “Banco Santander Mexico’s $4.13 billion public stock offering in 2012 was Mexico’s largest ever in the financial sector, a strong sign of the revival of the nation’s financial services sector. After many years of economic missteps, these and other successes show Mexico is emerging as Latin America’s most promising relocation and investment market,” Boyd concludes. Mexico has been actively working to improve its competitiveness, and kicks off 2016 as an attractive country for investors worldwide. Mexico saw moderate growth in 2015; the International Monetary Fund (IMF) attributes the slowdown to the fall in US industrial production, financial market volatility and reduction in oil production.Still, the country increased four positions in the most recent World Economic Forum (WEF) Competitiveness Ranking (from #61 to #57). 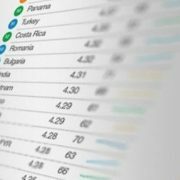 The improved ranking is due to the efficiency of Mexico’s financial and goods markets, improvements in the business sophistication and fostering innovation categories, and recentlyimplemented reforms. Some of the biggest changes being in areas such as energy, telecommunications, economic competence, labor and education. New international free trade agreements were also put in place to help revamp the national business environment – to date, Mexico holds agreements with more than 50 countries. Export diversification and foreign direct investment also saw significant improvement during 2015. The country’s involvement in thePacific Alliance – an initiative to boost the economy and enhance the region’s connections with the rest of the world – has also helped keep its position as the 13th biggest economy in the world and the 11th based on purchasing power. It is expected that Mexico will be the 7th largest economy worldwide by 2050. Mexico has been actively participating in the Trans Pacific Partnership (TPP) since 2012, a pact between 12 countries to increase Made-in-America exports, promote economic growth and secure jobs, among other things. If implemented and maintained successfully the TPP is expected to be the world’s largest trade partnership in 20 years, and will give Mexico access to principal economies, including those in the Asia-Pacific region. Mexico and Hong Kong have announced plans to begin a Reciprocal Investment Promotion and Protection Agreement (RIPPA) in 2016. It provides national and foreign investors a legal framework that offers stronger protection for foreign investment in Mexico and Mexican investment abroad. Hong Kong is already a large trade partner of Mexico and a big destination for Mexican exports to the continent. The IMF estimates Mexico’s economy will grow from 2.3% in 2015 to 3.0% in 2017 if there is an increase in private consumption, investment and manufacturing exports. The country’s journey towards the digitalization of the accounting, payroll and taxation processes will also bring changes to the business customs this year.